Le Prevost House is a large and spacious home situated close to the local amenities of the Bridge. The property is well presented and boasts generous sized rooms and would make a wonderful family home. The property offers ample parking and is conveniently located near to a local Co-op which is easily accessible by foot. 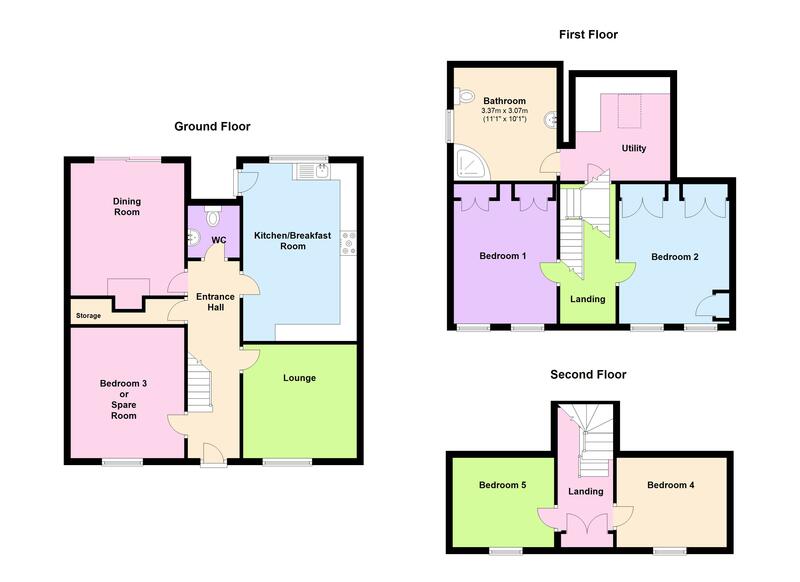 The accomodation on the ground floor comprises of a large lounge, WC, dining room, bedroom 5 which could alternatively be turned into a second reception room or a family room and the kitchen is bright and spacious and leads onto the patio at the rear of the property. On the first floor there are two goodsized double bedrooms, a modern family shower room and a well equipped utility. On the floor above there are a further two bedrooms. This property has been upgraded and tastefully decorated by it's current owners. Le Prevost House offers large and airy rooms and would be an ideal home for a larger family and early viewing is highly recommended. Call Cranfords today on 243878 to book your viewing. 17'6" x 11'5". Appliances include Smeg double oven with five ring electric hob, Range Master extractor fan, Belling fridge freezer, Indesit dish washer, Hotpoint washing machine dishwasher and Beko tumble dryer. Mains electricity and water and drainage. Central heating.